This article deals with the plans of the #Ministry of Infrastructure of Ukraine on launching the project on #reconstruction of five #sluices on the #Dnipro river. 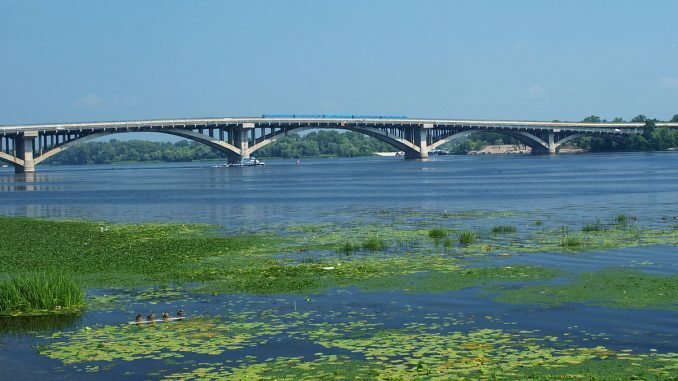 The Ministry of Infrastructure of Ukraine announced that it will commission a project for reconstruction of five sluices on the Dnipro river. The budget for the project is UAH 105 million (approximately USD 4.2 million). The funding will be available through the budged financial aid from the EU. The primary aim of the reconstruction is to eliminate any ecological risks due to the unsatisfactory technical state of the sluices. The Ministry of Infrastructure of Ukraine decided to commence the project following the report of American engineers, who assessed the technical state of the sluices, on the risks of deterioration of sluices and need to conduct urgent reconstruction within the shortest period available. The Cabinet of Ministers of Ukraine together with the Ministry of Infrastructure of Ukraine are actively trying to attract financing for its infrastructure projects and development of logistics system in Ukraine. For example, the Cabinet of Ministers of Ukraine announced that Ukraine is going to obtain a loan from the World Bank in amount of USD 200 million for the purposes of modernization of its roads, in particular in Poltava region. In addition, the Ministry of Infrastructure of Ukraine stated that it signed a joint declaration on implementation of Via Carpatia project, which envisages a road link between the Baltic Sea and the Aegean Sea. The declaration was also signed by the representatives of Bulgaria, Czech Republic, Greece, Hungary, Poland, Slovakia, Lithuania and Turkey. Involvement and cooperation of a number of countries will help to acquire financing for implementation of the project, in particular under the Connecting Europe Facility. Furthermore, the director of EBRD in Ukraine stated that in 2016 EBRD plans to invest approximately EUR 1 billion in Ukraine with one of its key priorities for investment to be road building.